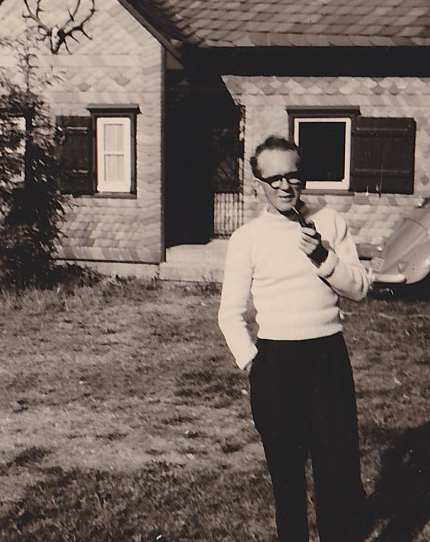 Today we remember my father, Josef Kappius, who was known to everyone only as Jupp. For those who know a bit about Germany it might be obvious that my father was a child of the Ruhrgebiet where Josefs tend to be called “Jupp”, and indeed, he was born in Bochum on 7 November 1907. The original farm homestead of the family was in nearby Haaren (today technically a part of Bad Wuennenberg), but Jupp’s grandparents had already settled in Grumme (now part of Bochum) before their children were born, and so my father was not a child of the country, but of the city. 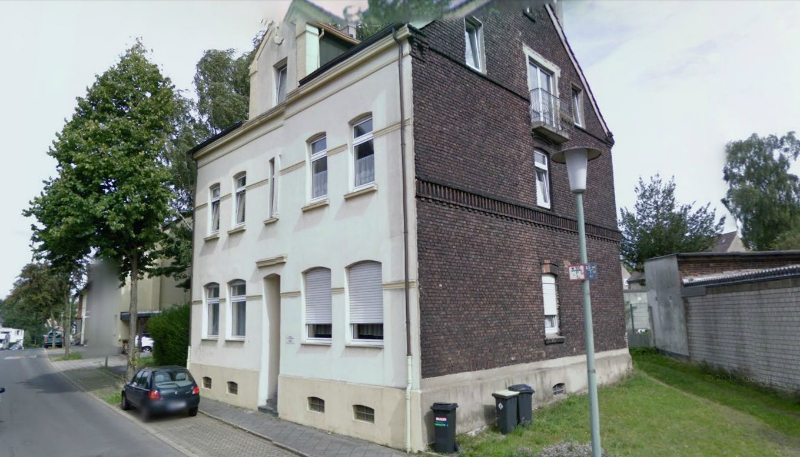 Grummer Strasse 26 in Bochum: the house in which my father was born. There is much to say about him and we actually maintain a website where we do just that, but the long and short is that he lived to see both world wars, the first as a pre-pubescent child, the second as an active participant. 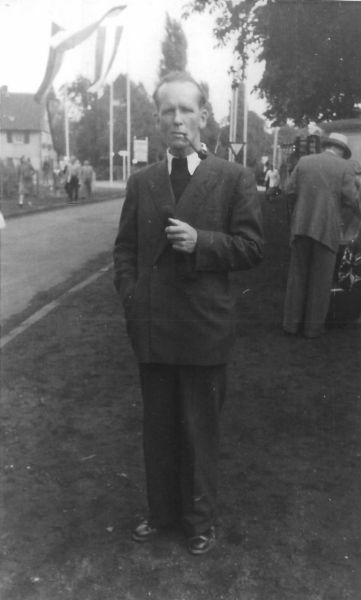 He worked in the steel industry before WWII, and after the war made a livelihood from being a representative of his political party in the local government of Dortmund. He died there, in Dortmund, at the age of 60, on 30 Dec 1967. Not sure when or where this was taken, but probably in the 1950s and on vacation. My father was married twice. His first wife Aenne was his companion from the early 1930s all through WWII and into the mid-1950s, and the two were childless. Purposefully so, one has to add, because they had been active in the socialist workers youth of their day and quickly evolved into full-fledged enemies of the state when the Hitler was elected as chancellor in 1933. All members of their political group, the ISK, vowed to be vegetarians, teetotalers, and childless. 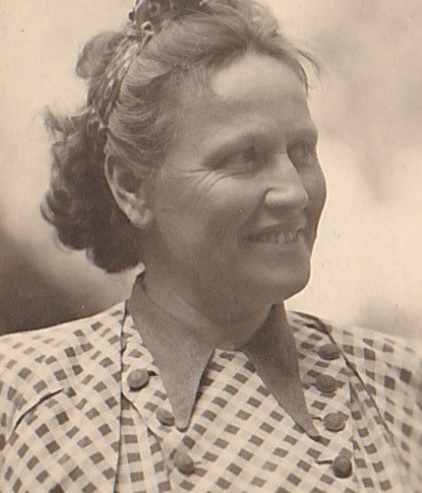 Jupp and Aenne fled in 1933 when a GESTAPO arrest was imminent, and while she ended up in Switzerland where she stayed until the end of the war, for the most part, Jupp went to England, from where he, together with other enemy aliens, was deported to Australia in June of 1940. For over two years he sat there waiting for his chance to do his bit in the war. October 1942 found him back in London, England, and on 1 September 1944 at midnight, he returned to Germany via parachute with the objective to undermine Nazi Germany as best as possible, and strengthen the resistance in the Ruhr area. The OSS was involved as well as British Intelligence, but he was only trained by them, not paid. Don;t know when or where this was, but it sure looks like May 1st to me. 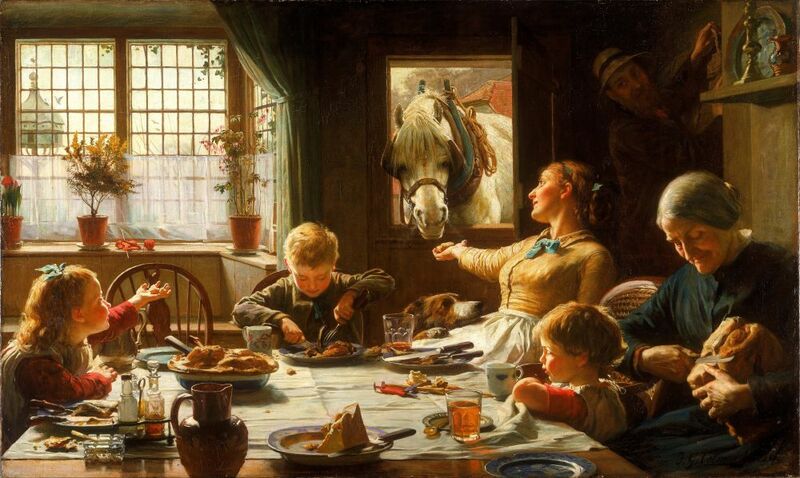 After the war he was reunited with his wife and they did their best to help shape the new Germany that was emerging out of the ashes of the war. For Aenne, it was too late to have children anymore by that time, and she died in 1956. She was strong of will and conviction, but her (physical) heart was weak. 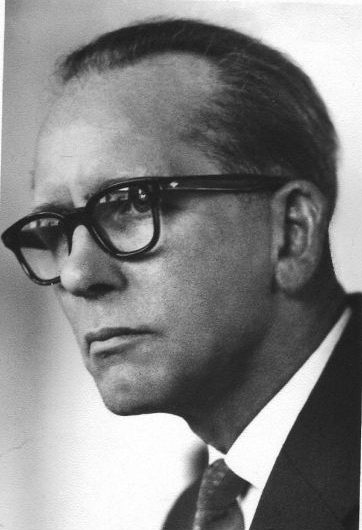 Aenne Kappius, nee Ebbert. I grew up with a lot of her relatives, with her sister, her nieces and nephews, and their children. 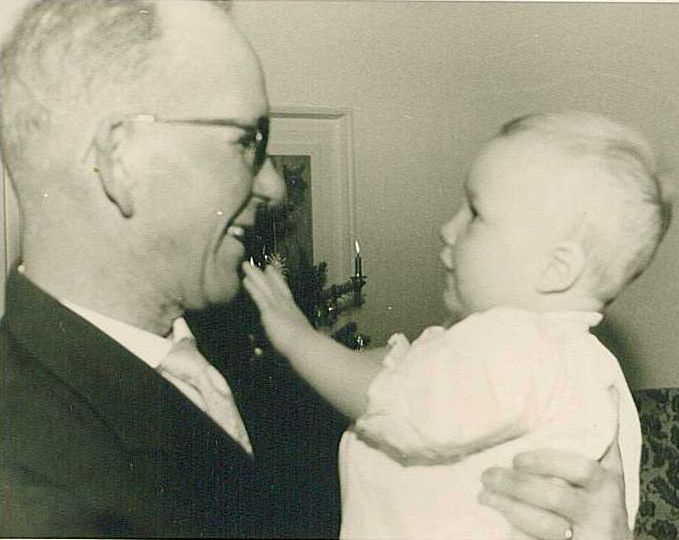 Just shy of 10 years later, and after some dark and lonely years, my father married again, this time a much younger lady – my mom – with whom he had two children, one boy and one girl, before he died. Can you imagine what it must have meant for him? But his newfound joy did not last very long in this world: My brother was about 20 months old when our father died, and I only 8 weeks. For the longest time, I only knew very basic things about my father. He was of a different generation than my mother and the parents of my friends, and history teachers in school would call me a liar when I said anything about my father actively participating in WWII. 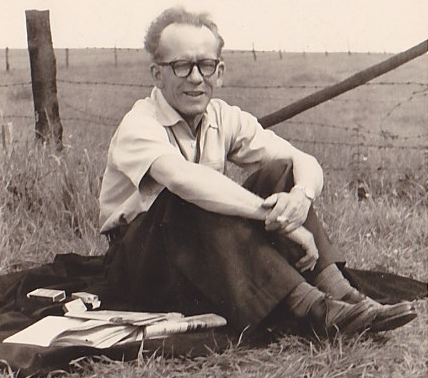 Later, during my years at the university in Germany, I met someone who was working on a documentary (“Deckname Downend”, in German) about my father’s involvement in the German resistance movement, and I learned something new then. Again a few years later, I started looking into all that a lot more seriously, reading through my father’s internment diaries and studying other material about the groups he was involved in at the time, and that’s when I really “met” my father for the first time. As a child and teenager I had met some of his “old” friends in person; now I learned about the things they had done together back in the day, and he became very much alive for me. Fascinating! It really angers me when teachers are so graceless. Very interesting man, your father. Geez, yes, and I was only in 3rd or 4th grade when that happened the first time. In the end it cost the lady a big bunch of flowers for my mother as an apology, though. She brought it to our house herself, I recall. …. the first time… ?? Well, at least you knew it was the truth. Previous PostPrevious Need Some Comic Relief?